Atlanta Blogger: The Homie Rahiem Over at rashaentertainment.com sent us the real deal on YMCMB vs Hot 97. 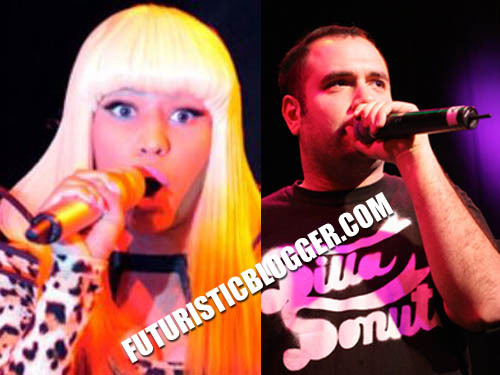 If you watched Hot 97 Summer Jam you noticed Nicki Minaj was not present, here is what happen. According to those in the know DJ Peter Rosenberg got on the mic and stated, We about that real hip-hop, not ‘Starships.’” . Apparently, this did not sit well with the President of Young Money. Lil Wayne got word and decided to pull the plug on. But, to everyone’s surprise Young Money signee Tyga showed up and gave a lackluster performance. Did he defy his boss orders? Stay Tune! I reached out to DJ Funk Master Flex via twitter after he stated “You don’t go gold. It’s all your fault. I’m dedicated to tearing you down.” He also announce he will be addressing the issue Tomorrow 7 PM on the radio. Check out the Nicki Minaj and Lil Wayne tweeting about the incident. Also, see DJ FunkMaster Flex response to my tweet. HipHopNews24-7.com will keep you updated! !